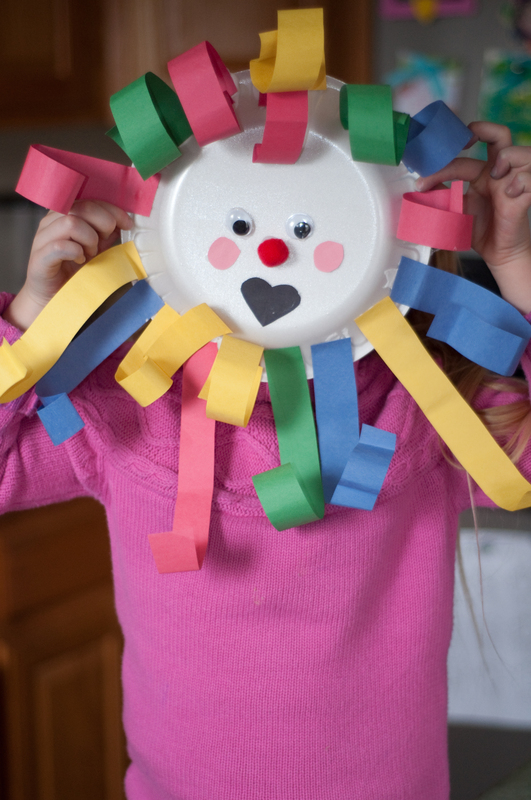 Home » Crafting with Kids » It Came in Like a LION! Today, I taught my children the old saying, “March comes in like a lion, and goes out like a lamb.” Here in the great Pacific NW, March definitely came in like a lion! My daughter had a snow day in MARCH! 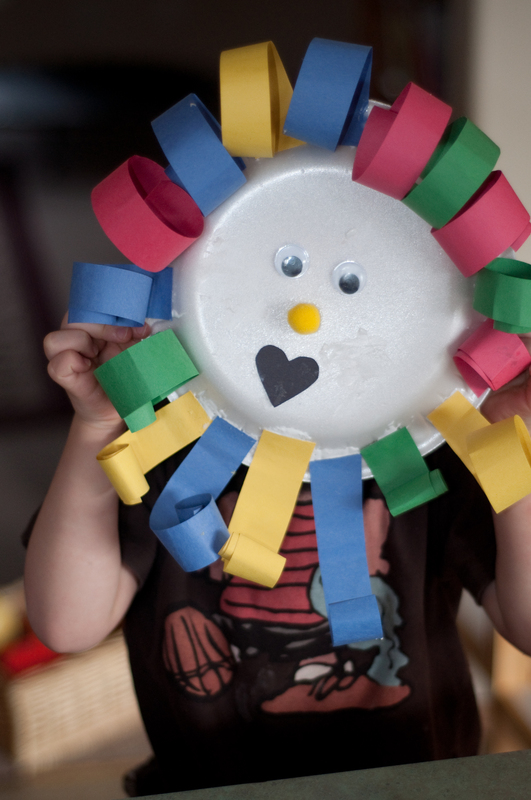 So, in honor of this lion-like day (and to keep my kids from going completely stir-crazy), I decided to haul out some art supplies, and get the kiddos involved in a fun and simple craft! You will need to model the next step a few times for your child, but they will be able to do it themselves. Show your child how to roll the paper strips using a pencil. Wrap the strips tightly around the pencil, pinching slightly at the end. Show them how to be careful not to pull the strip right off of the plate. Gently slide the pencil out and see the curl! The curls will become the lion’s mane. The tighter you wrap, the shorter the mane will appear. My son got bored, so I wrapped most of his mane in tighter curls. My daughter chose to make looser curls. They both look great! Have fun making lions with your little cubs and welcome in March! Here’s to hoping it will go out like a lamb! (And yes, i will be posting a lamb craft the last day of March.) =) Happy crafting!